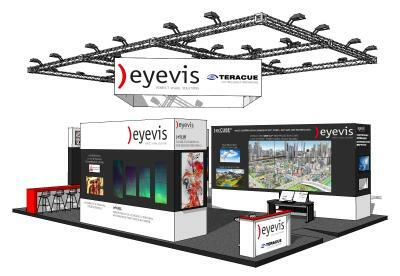 eyevis, the German manufacturer of visualisation systems for professional applications, and Unilumin, the Chinese manufacturer of LED displays, have announced their cooperation, fittingly in the forerun of ISE. “With our strategic partnership for development and distribution, we supplement eyevis’ vast expertise with Unilumins high-quality manufacturing of LED modules. This is a win-win situation for everyone, in particular though for our customers,” Hartmut Weinreich, eyevis’ product manager for LED solutions, comments on the new cooperation. The development departments of Unilumin and eyevis had already successfully worked closely together in the past. eyevis supports the cooperation with its extensive expertise knowledge and its wealth of experience and provides the necessary knowhow to meet special requirements, in particular in the control room and the area of broadcast. 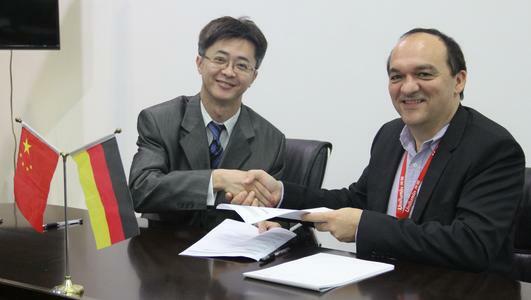 Unilumin contributes its extraordinary large manufacturing capacity at the highest technical level to the partnership. 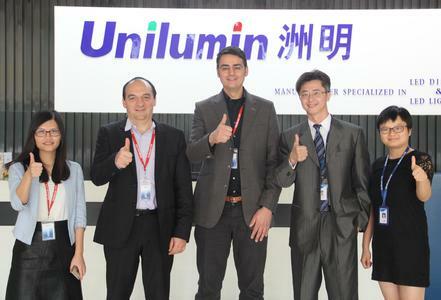 As early as at ISE, the strategic partnership will manifest itself in a new product line, eyevis ePanels “powered by Unilumin”, which was jointly launched by the development teams of both companies. The ePanels premium product, consisting of modules with a pixel pitch of just 0.9 mm, will celebrate its world premiere at ISE and will be presented in a 3.7 m by 2.1 m LED wall with 4K resolution. All ePanels are designed to be used indoors, where high resolution video walls with small pixel pitch are in high demand. The ePanel portfolio comprises models with different, yet always very small pixel pitches of 0.9 mm, 1.2 mm, 1.5 mm and 1.9 mm, which can be selected in line with the respective case of application. The “powered by Unilumin” products are manufactured exclusively for eyevis and distributed via its own retailer network. eyevis are responsible for Customer Care as well as the technical implementation of display control and signal processing whereas their Chinese partner produces the hardware. Unilumin’s large manufacturing capacity and speed allow for high-quality and cost-efficient solutions for eyevis’ customers. Just as with every other eyevis product, customers of the series “powered by Unilumin” have direct local access to eyevis contact persons for Service and Support matters. The product series eyeLED, manufactured by eyevis in Germany, is another mainstay of the LED division and supplements the new ePanels with an extraordinarily flexible, tailor-made series for applications with special requirements regarding casing and integration. Unilumin, based in Shenzhen, China, is known as one of the leading LED manufacturers held in high esteem internationally and delivers LED displays and LED lighting solutions in over 100 countries. The company was only founded in 2004 and since has quickly grown an extraordinarily large manufacturing capacity of more than 20,000 square metres of display surface each month. With its bezel-free LED video wall system featuring a pixel pitch of just 0.8mm as well as its glass-free 3D LED wall, Unilumin has earned itself great renown all over the world.